In 1864 Union Gen Sherman sent a message to President Lincoln that said, “I beg to present you, as a Christmas gift, the city of Savannah . . .” We challenge you to organize and lead your troops on a “March to the Sea” during the holidays and enjoy the same beauty that Sherman found on his arrival. Day 1 – Savannah, GA – Today, travel to Savannah, GA and check into your hotel for a two night stay. Then enjoy a Savannah Riverboat Dinner Cruise. Sit back and relax while the Riverboat slowly takes you down the Savannah River. Enjoy a buffet dinner with something to satisfy everyone’s taste buds! After dinner, get up and dance to the tunes from the 50’s through today preformed by one of our own Riverboat entertainers. 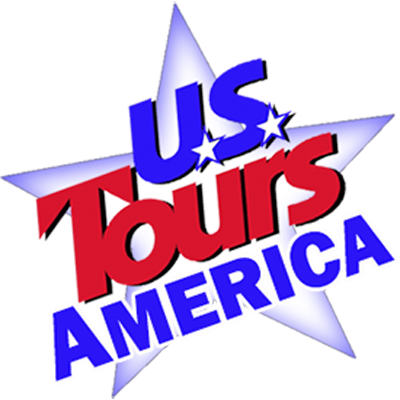 Day 2 – Savannah Sightseeing – Savannah Theatre- After breakfast, enjoy a “windshield” driving tour of the historic area of Savannah. Highlights include point of interest surrounding the book “Midnight in the Garden of Good and Evil” and the filming of “Forrest Gump.” You will also view historic buildings’ monuments’ unique park-like squares, cobblestones and brick streets, antebellum mansions, row houses and churches. Next, visit either the Davenport House Museum or the Juliette Gordon Low House. The Davenport House Museum and experience an authentic early 19th century holiday season in Savannah. Learn how the Davenport household celebrated Christmas and New Year’s in the 1820s. The Juilette Gordon Low House for a holiday tour, “Christmas 1886 with the Gordons.” Step back in time and explore customs during the Victorian era. The table is set for Christmas dinner, the stockings are ready in Mama’s bedroom, and the vintage “Game of Merry Christmas” is out. Come for a taste of Christmas 1886. You will then have free time to have lunch on your own, browse City Market area or the River Street area. Make sure you visit the Savannah Candy Kitchen – free samples – before meeting at the dinner restaurant. Dinner is included tonight at the River House Seafood Restaurant. They are famous for their pecan pies. Following dinner, you have reserved seats for a Show at the Historic Savannah Theatre. “A Christmas Tradition” brings you holiday glitz and glitter with a 2-hour performance. The theatre is transformed into a holiday perfect picture, sharing memories of the Christmas standards that you know and love. Sprinkle in a little comedy and audience participation for the greatest event of the season. Day 3 – Depart – Enjoy hotel’s deluxe continental breakfast before loading your belongings on board the bus and departing for home.